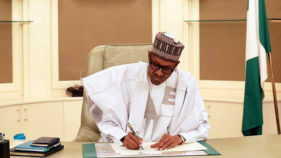 As President Muhammadu Buhari embarks upon the task of appointing a new cabinet for his last lap in the exalted office of president of Nigeria which commences on May 29, 2019, it becomes apposite, even salutary for us to take stock of the last cabinet of ministers, and draw lessons from their strengths and shortcomings with a view to charting a course for the future.A cabinet, we may observe, is as strong and effective as its chief executive allows the team to be because its overall performance depends on the vision or otherwise of the leader. Be that as it may, stellar performances of ministers are possible when the right persons are appointed into office. The expression ‘a square peg in a square hole’ is particularly axiomatic at this time of our chequered history. It is no rocket science to constitute a cabinet; but it is an indication of a proper understanding of society for the president to appoint an excellent team. After his first victory at the polls in 2015, expectations were very high of President Buhari. Unfortunately, for six long months he failed to appoint a cabinet. The message to the suffering people of Nigeria was that the freshly elected president was taking his time to put an excellent team together. Alas, when the ministerial team was finally announced after months of patient expectations, there was dark ash in the mouth of Nigerians. 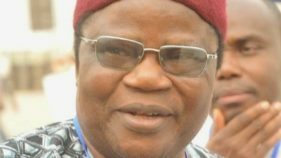 The ministerial nominees were all of the old guard of politicians, who had led the country into muddy waters in the first place. 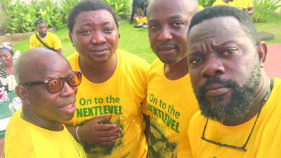 Some were beneficiaries and champions of the unprincipled crisscrossing between parties, which made saints of the elite that entered the ship of the ruling party. It is indeed unfortunate that some ministers have been curiously anonymous in the last four years. This is unacceptable in a country, which boasts of millions of competent persons in the complex federation. Little wonder therefore was the eventual entrenchment of mediocrity and anonymity of ministers in the last four years. Who and where were the ministers between 2015 and 2019? What did they stand for? What programmes did they introduce to make a difference in the Nigerian polity? How many of the ministers can we name or do Nigerians know? If in four years some ministers were ever hardly reported in the media or were hardly known to the public then something was intrinsically wrong with the composition. How did we get into the mess? The 1999 Constitution of the Federal Republic of Nigeria mandates the president to reflect the states’ and structural architecture of Nigeria. It explicitly states: “the President shall appoint at least one Minister from each State, who shall be an indigene of such State”. Although some compatriots have contended that this ties the hands of the president from freely appointing credible persons of his choice, it is our considered view that the contrary is the case. The object of the constitutional provision is to ensure that all parts of the federation are equitably and reasonably represented in the ‘executive council of the federation.’ A well-balanced cabinet creates a sense of belonging for the constituent parts of the federation. We have been at odds with the president on the lopsided composition of the security and intelligence chiefs in the country, among other parochial appointments. The President must not repeat this toxic blunder in the next set of appointments. The federal, plural and diverse nature of the Nigerian federation ought to be borne in mind at all times in all facets of our political life. No section of the country should lord it over another. The impression of clannishness, which President Buhari flagrantly displayed in his first term in office, offends our sense of unity in diversity. What is worse, it is a violation of the federal character provision in the organic law of the land. We hope that broad consultations have commenced on ministerial appointments. Once the commencement of the next National Assembly is proclaimed the list of ministerial nominees should be forwarded promptly and handled with dispatch. Meanwhile, in doing so, the proposed portfolios should be specified so that nominees could be tested on how abreast or knowledgeable they are in their fields. Let us unlearn old habits and see ministerial appointments as national assignments. About now, a team should be put together to develop a blueprint for the next four years. Timelines should be created. All appointees should key into the vision. Important as the war on corruption is, it is, we must observe, just one item in the development agenda. So it must be fought alongside targeting the overall welfare of the people of Nigeria. Citizens must live well and enjoy the beauty of life. A sound economy is fundamental to growth and individual fulfillment. No leader knows it all. No leader should surround himself with myopic and clannish advisers whose narrow purview can truncate the national dream. The civil service as the engine room of government should be carried along in the process of policy implementation. Besides, the President should engage the best and the brightest men and women in the land even if it requires going outside the political structure, which produced him as president. Head hunting should be part of the process. The affairs of state ought to be in capable hands. Nigeria deserves no less. 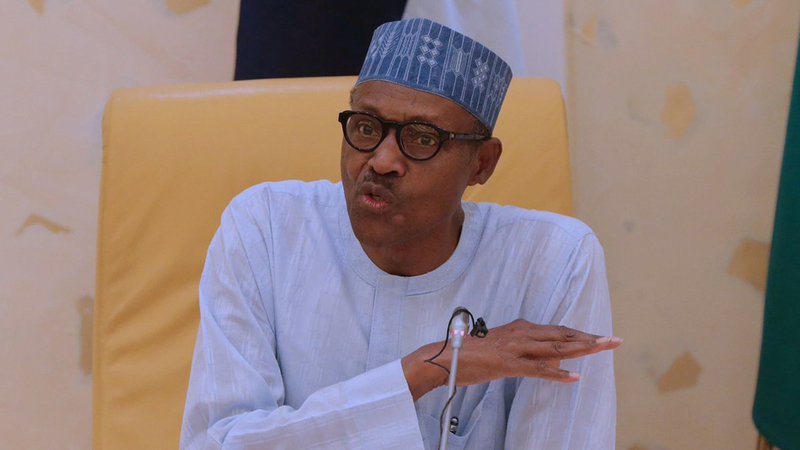 Specifically, President Buhari should bear in mind that his age and health condition will affect his capacity to supervise the day-to-day running of government. Therefore, he needs capable hands who can hit the ground running while he coordinates the overall policy framework of the government. The thought-process in government appears shallow, selfish and self-serving in the last four years. We must rise above all that is associated with clannishness and delusion of grandeur. The people need and deserve true leadership that will make life in Nigeria bearable. Nigerians have not reelected the president to wring his hands and continually blame past administrations. His duty is to fix the problems and prepare a solid ground for the future of the Republic. Blaming the past and offering excuses for inadequacies are the pastimes of the weak or the nescient. A true leader rises to the occasion of deep crisis or gargantuan problems and surmounts them. If the Asian Tigers or even Rwanda had concentrated on blaming the past they would not be the shining beacons, which they are today. Nigeria ought to be the leader of the African continent, having been so endowed with human and natural resources. Sadly, we have been saddled with official ineptitude and a notoriously kleptocratic leadership that the world is aghast at our collective tragedy. No nation whose leaders steal the national till to emptiness can ever make progress. The nation, this time expects President Buhari to appoint ministers who will put the nation before self and not the other way round. “Without wise leadership, a nation falls”, the ancient word also says, “with many counselors, there is safety.” Ministers are not and should not be appointed to enrich themselves or their cronies. Let our leaders be the metaphorical God’s finger led by the president. His penchant for keeping silent or being aloof when his aides are accused of corruption should not flow into the next four years. All cases of corruption should be handled with an even hand in the tradition of the scales of justice. He should not employ crooked hands to lead the people so graciously put in his care as expressed through the ballot box. Though the election is still in contest, he is the extant and de facto leader of Nigeria at the moment. Finally, Nigerians await the development and circulation of a blueprint to guide the next four years of the Buhari administration. The responsibility falls squarely on the President; for as Robert Louis Stevenson says, “He who stands at the head of the line must know where he’s going.” Because the last general elections were not seriously issues or milestones-based, we seem hard put on what to hold the president to as election promises. But the people expect an end to the insurgency in the northeast, curbing inflation and creating employment, evenly dealing with corruption cases, restructuring the country politically, creating hope for the hopeless and hapless, increasing power distribution, improving security around the country, and entrenching the rule of law. All told, an effective cabinet is crucial to attaining these goals.